Travel south on Hwy 101. Exit at E. Washington St. At the stoplight, make a left turn onto E. Washington St. Proceed eastbound on E. Washington St. to Sonoma Mountain Parkway. 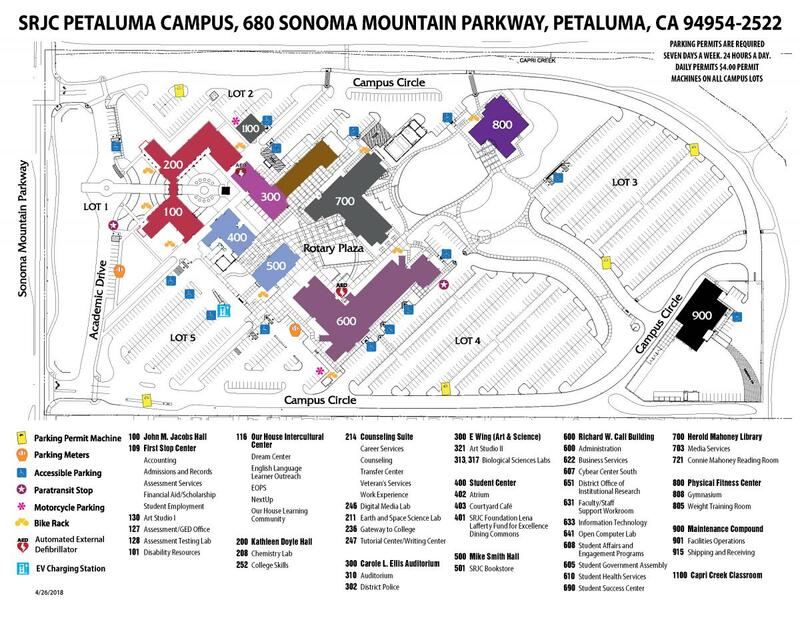 Turn left onto Sonoma Mountain Parkway. Travel 1.22 miles. Turn right onto Campus Circle. Travel north on Hwy 101. Exit at E. Washington St. At the stoplight, make a right turn onto E. Washington St. Turn right into Campus Circle. Parking permits are required seven days a week, 24 hours a day.